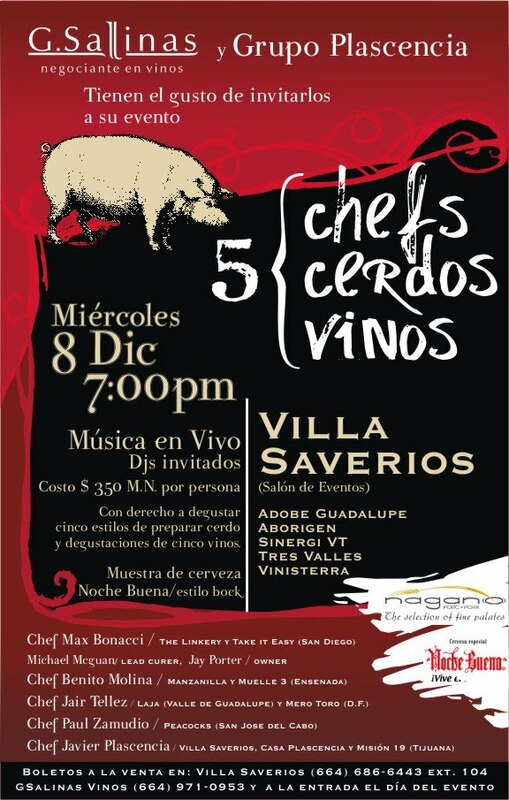 October 11-14 is the 2nd annual Baja California Culinary Fest! Thanks to the generosity of Chef Javier Plascencia, I was able to attend the 1st annual festival last year and with more experience, this year's is promising to be even better. 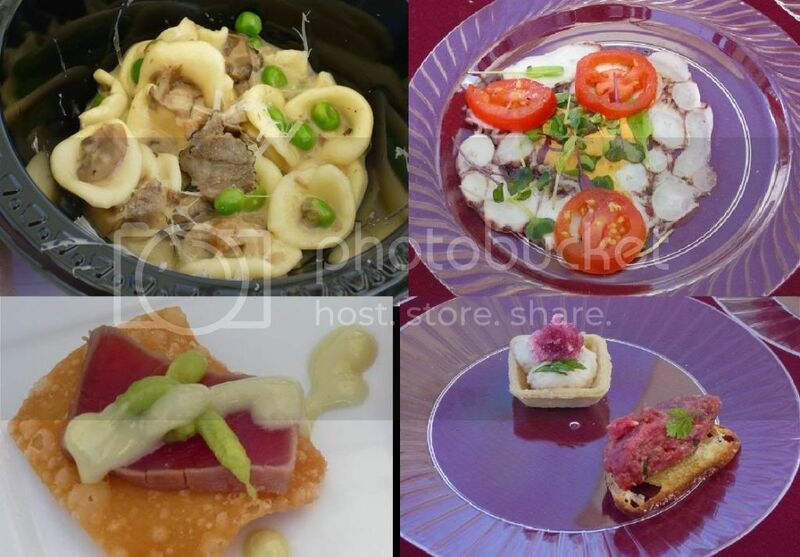 There are many different events over the four days, from special dinners, a gastro tour of Tijuana, a visit to the Ramonetti cheese cellar, a festival in Rosarita, and many more. 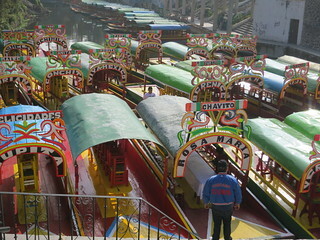 It all culminates in a festival at the Galerias Hipodromo. 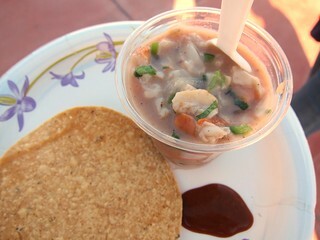 Last year's festival had some of the best restaurants in Tijuana, and this year will probably have even more. Instead of paying an all inclusive ticket, last year attendees buy tickets for each item purchased. 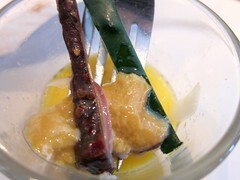 From a whole leg carved on-site by Cheripan, Tijuana's premier Argentinean restaurant. You find gems in unexpected places. Even in places you already expected to be good, you can still find unexpected dishes. 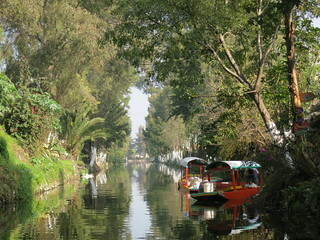 Such was the case with Cenaduria Panchita in San Felipe. During the last Baja trip, our host took us to Panchita for the best empanadas in town, but to our delight we also found ... pickled pig's feet! 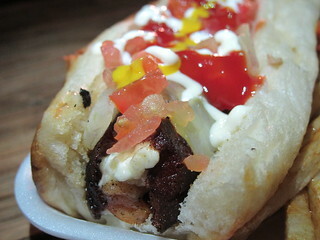 This specialty of Jalisco was quite a treat, with the bright pickle flavors counteracting the fatty pig's skin. Very different than the sweet Chinese style I'm used to. Of course, there are the empanadas. 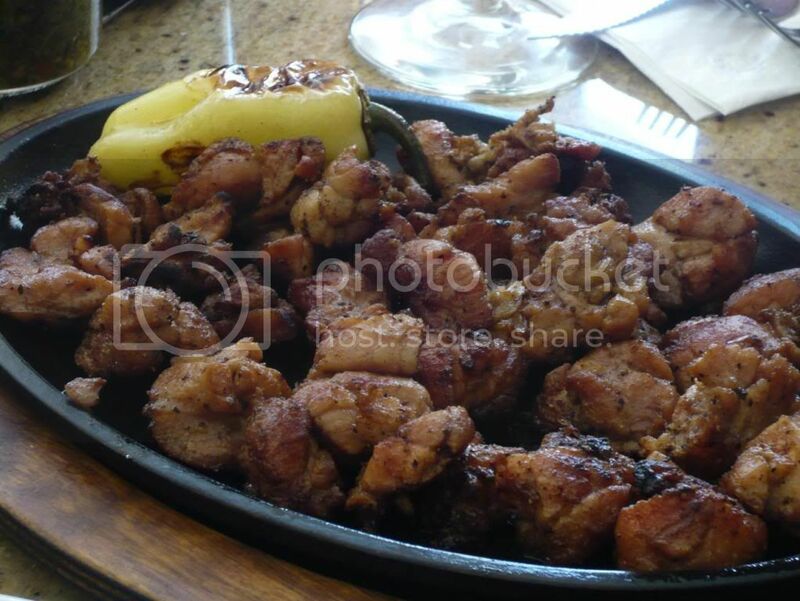 After all, that's what Panchita is locally famous for. They also serve taquitos and other things, but I didn't find those particularly memorable. 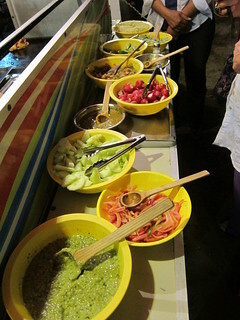 Here, the meat-filled empanadas are fried (according to Street Gourmet LA, this is more Baja style than Jalisco). 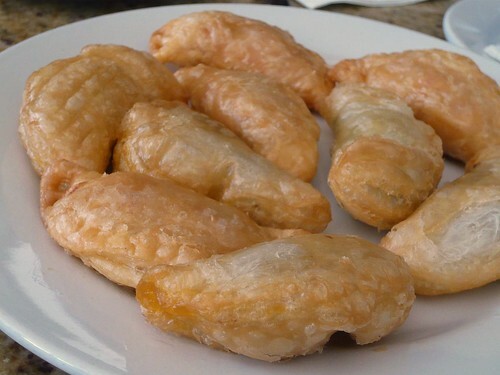 What I really loved about these empanadas was the thinner skin, and of course the crispiness from the frying. These were some of the best empanadas I've had recently. I wish I could've taken some back to LA but they would've gotten soggy. I guess I'll just have to return to San Felipe to have them for breakfast! 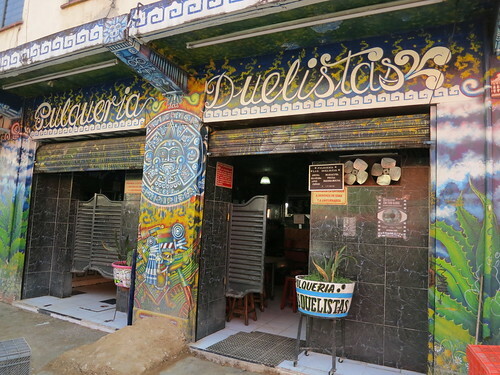 Unlike the more metropolitan Tijuana, there aren't too many high end dining options in San Felipe, a sleepy town during the off-season. Still, there is at least one, and a very good one at that. 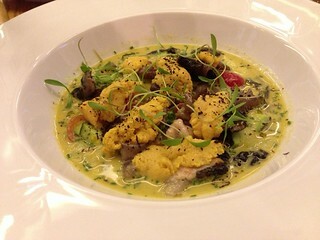 El Balcon Cocina Artesanal opened in Jaunary this year by Chef Julio Cesar Gonzalez Zetina who had previous worked at the Ritz Carlton in Cancun and researched Mayan culinary traditions for the university there. Now he also teaches the subject at the local university after a recent move from Ensenada. 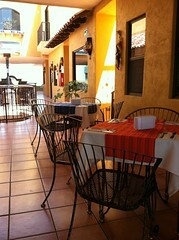 El Balcon wasn't a fancy restaurant, just a few cute tables outside on the second floor of La Plazita, and an outdoor kitchen. 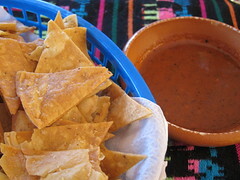 Thick tortilla chips are accompanied by a bold housemade salsa. 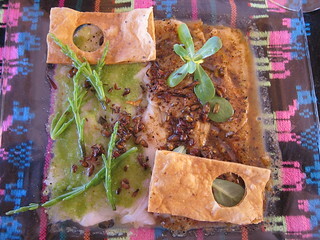 We have had plenty of bounty from the Sea of Cortez, but this was the first time in San Felipe that we had it raw. The fresh dogfish carpaccio reminded me of kanpachi and both of the chile were so good that despite not being able to eat that spicy, I had to finish the entire plate (while downing plenty of water). People think of the beach and ocean when they think of San Felipe in Baja California, Mexico, but it is also a desert. A desert with giant cacti! Thanks to Street Gourmet LA, I went along on a media trip to San Felipe this past week and saw these giants with my own eyes. 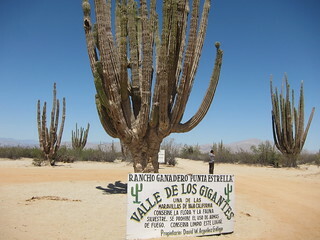 Valle de Los Gigantes in Rancho Punta Estrella features gigantic sahuaros, which are only 6 mm when it's a year old but can grow for 2000 (yes, 2000!) years! See Street Gourmet LA with his camera to the right? It's not that he's far away in the background, that really is how big that cactus is. 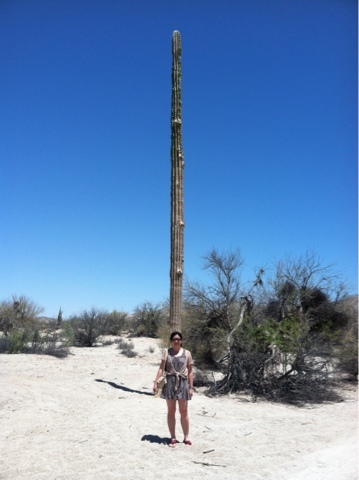 I don't know why this one didn't sprout any branches, but it sure grew to be a lot taller than the rest! 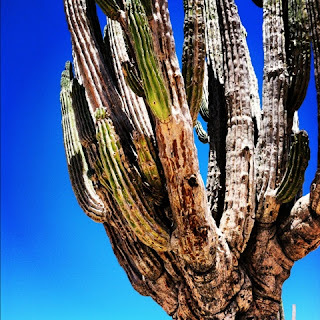 San Felipe gets really hot in the summer months (March is the ideal time to vacation here), but it was definitely worth the trek to see them. 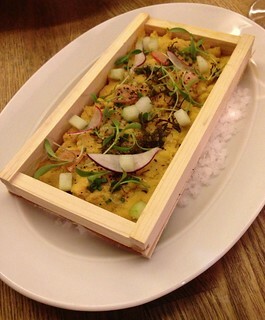 Chef Javier Plascencia from Tijuana can be likened to Wolfgang Puck in Los Angeles, dominating the Tijuana dining scene with numerous restaurants. 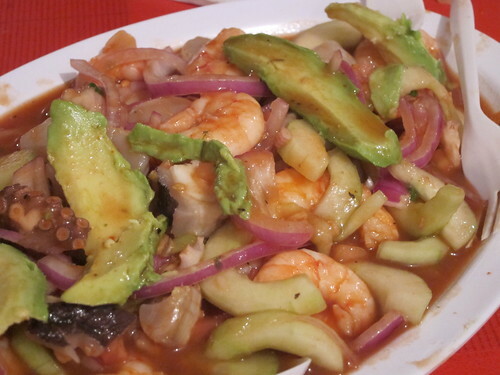 Capping off the weekend-long Baja Culinary trip this past year was a tasting at one of these restaurants, Cebicheria Erizo, specializing in fresh seafood (including, of course, ceviches). 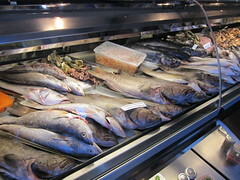 Seafood from fish to octopus to clams are displayed in refrigerated cases as you enter; daily specials written on the blackboard above it. For our visit, though, we left it up to Chef Plascencia to serve us whatever he wanted. 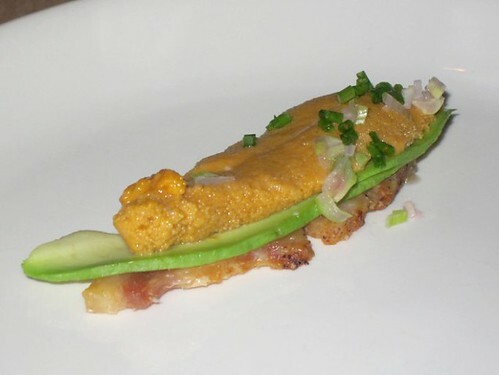 To whet our appetite was a shot of leche de tigre with cucumber, fish jerky, and sea urchin (erizo de mar, the restaurant's namesake) hidden at the bottom. 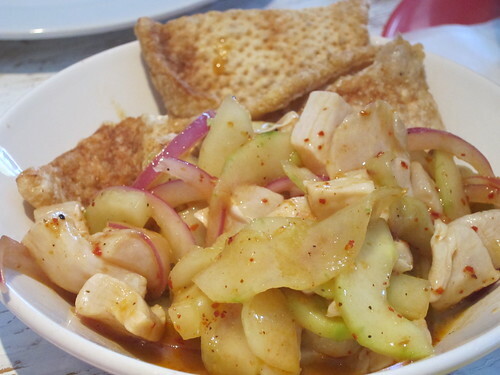 Instead of scooping up ceviche with tortilla chips, why not take it to the next level with chicharrones? Better yet, can we replace salad croutons with chicharrones from now on? A fellow foodblogger, Street Gourmet LA, has made it big. You may have seen him recently as a guest judge on Top Chef Masters: Scary Surf & Turf episode. 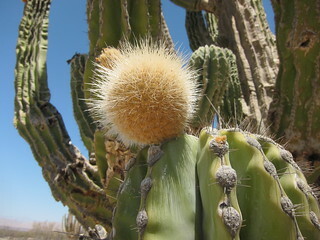 Now he's going to be on screen with Andrew Zimmern, acting as his guide in the Bizarre Foods episode in Baja! 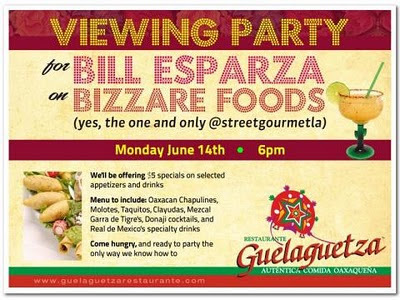 La Guelaguetza on 3014 W. Olympic Blvd will be holding a special viewing party for him on Monday June 14th (hopefully on their new 150" screen?) and will be offering some great $5 special deals. 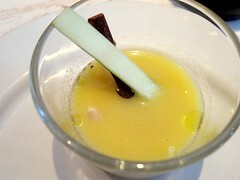 The $5 specials include chapulines (grasshoppers), Taquitos, Clayudas, and some awesome specialty mezcal and tequila cocktails including the Donaji garnished with crushed agave worm salt and other less adventurous cocktails. The party starts at 6 PM and the viewing will start at 7 PM. There will also be a special message from Andrew Zimmern via satellite and everyone is invited! 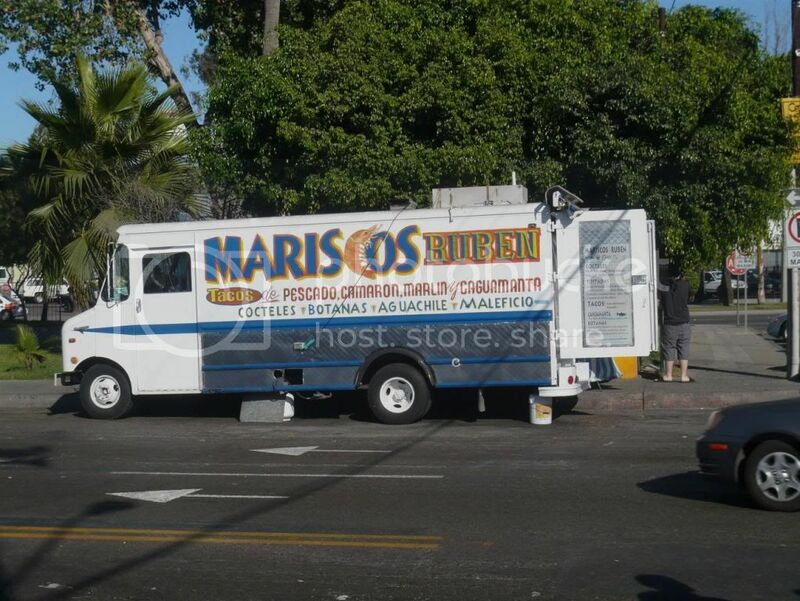 Mariscos Ruben - THE best seafood truck on this coast with THE best marlin taquitos. I like going to Mexico with Street Gourmet LA, just blindly following him to the places he's researched and discovered (hey it's a vacation). He has not disappointed yet. 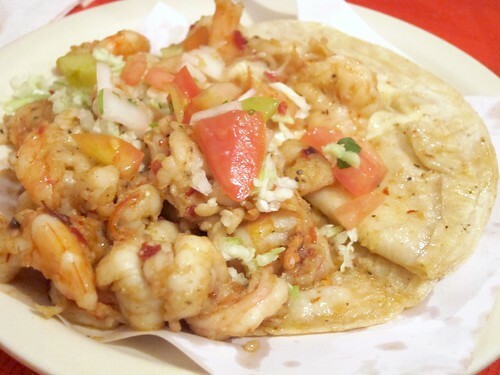 On our last trip to Tijuana for Tequila Expo, he took us to one seafood truck that I can't get my mind off of. 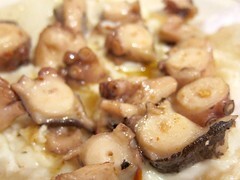 Mariscos Ruben. 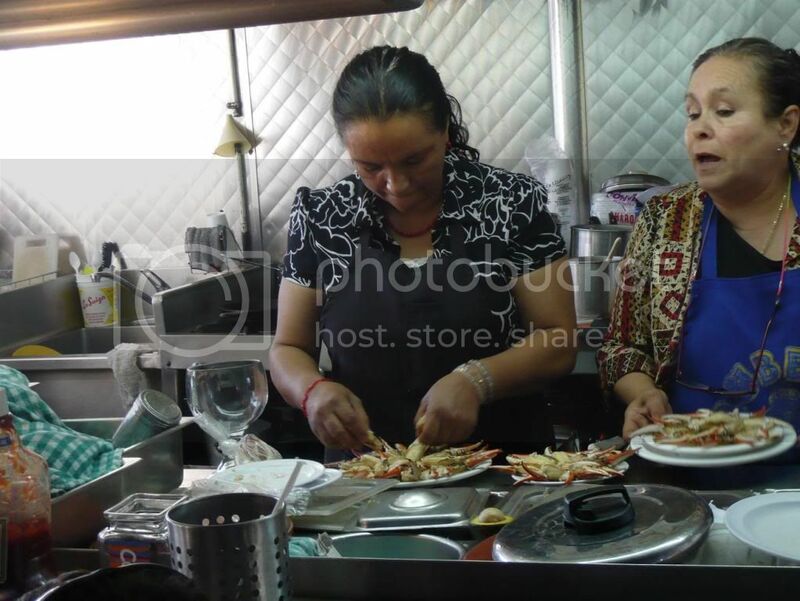 Husband and wife team Ruben and Mirta Rodriguez have operated this Sonoran seafood truck at this very corner for the past 20 years and they employ quite a few staff working the "kitchen" in the truck. There's a small tented area where patrons squeeze into plastic chairs and stools. 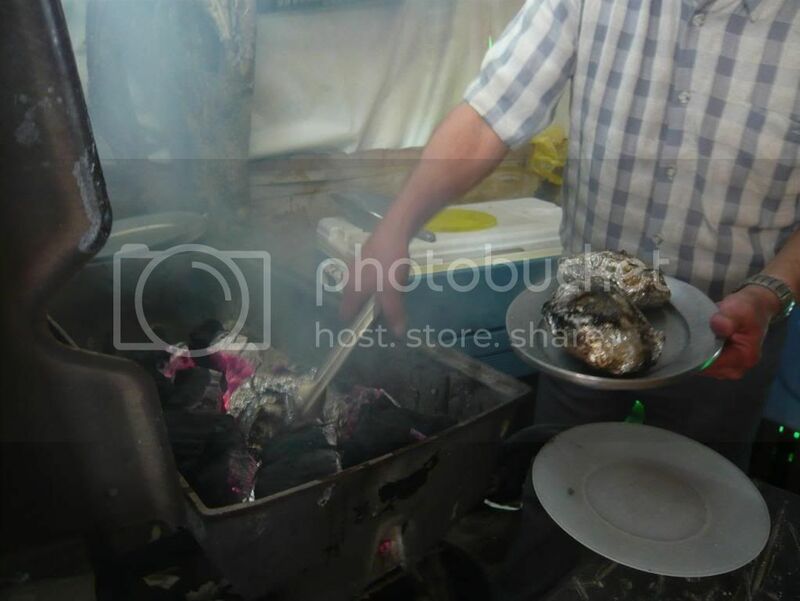 Some of the locals are decked up in suits and fancy dresses, but good food has always brought people together. 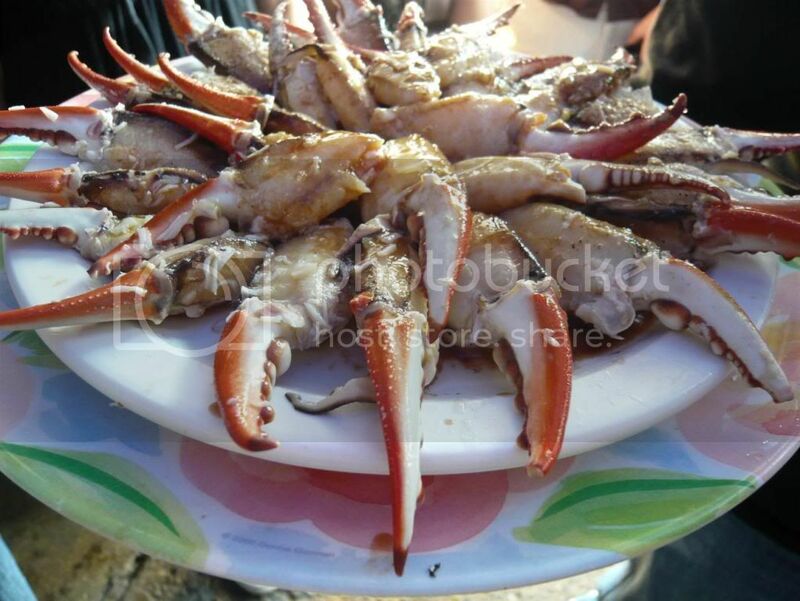 A plate of Manitas de Jaiba (crab claws). These small crab claws are fresh and sweet and served with citrusy chile marinade. 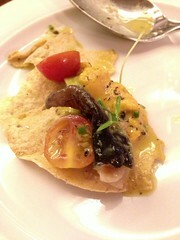 The crab tostada was equally impressive. 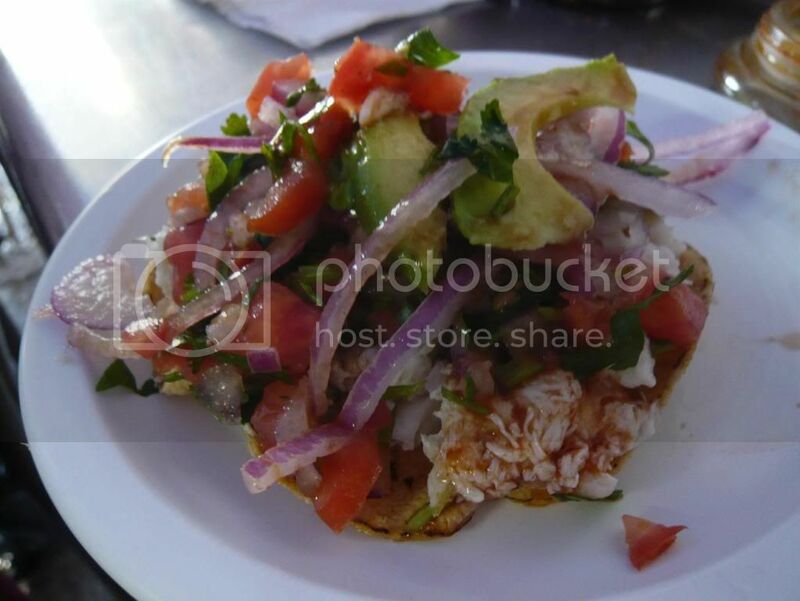 Fresh crab meat topped with onions, salsa, and thick slices of avocado really brought out the sweetness of the crab meat even more. But it was these babies here that I crave, that makes this place so memorable to me. 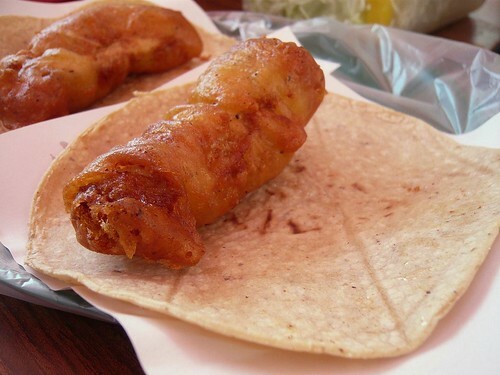 Marlin Taquitos. 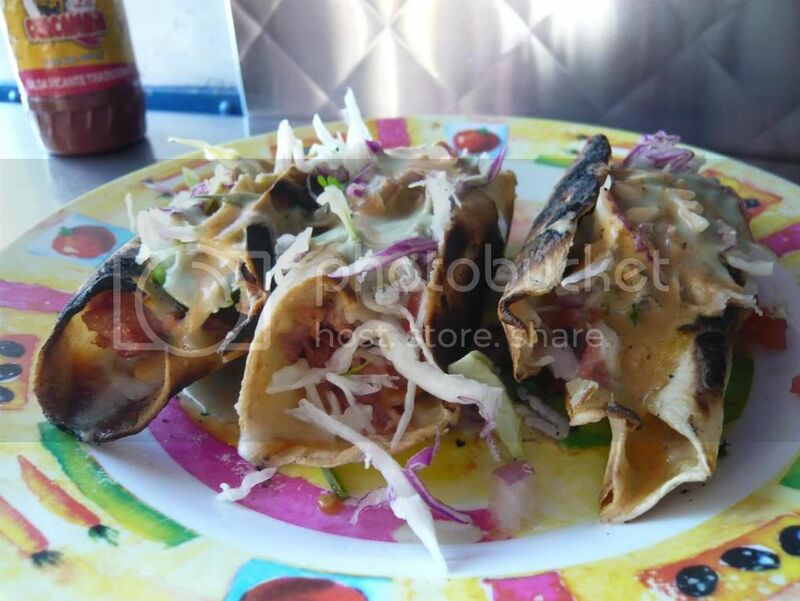 Meaty smoked marlin in chargrilled tortillas are topped with cabbage, homemade thousand island dressing, and another homemade secret sauce. There's the smokiness, the creaminess, and then there's the crunch. To put it simply, they're the best taquitos ever. Ruben works a small charcoal grill behind the tented area. The wife high recommended we try another dish before leaving: Almejas Gratinadas (Clams au gratin, basically). We watched as Ruben Rodriquez picked up foil-wrapped Pismo clams from the charcoal. One of the cooks then split them open and prepared the real deal for us. 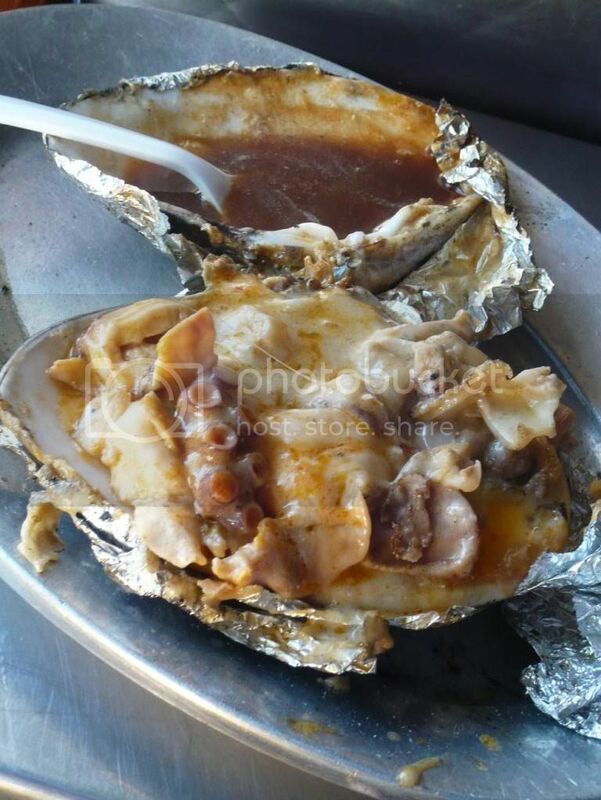 Like a treasure box, the big clam shell is now topped not just with the tender clam meat swirling in its juice, but with octopus, shrimp, scallops, cream and monterey jack cheese. 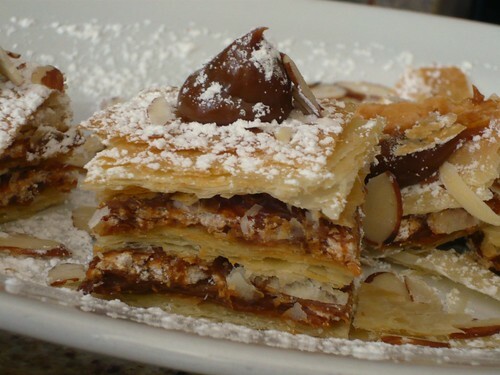 We can see why Mirta wanted to make sure we try these and we're so glad we listened. 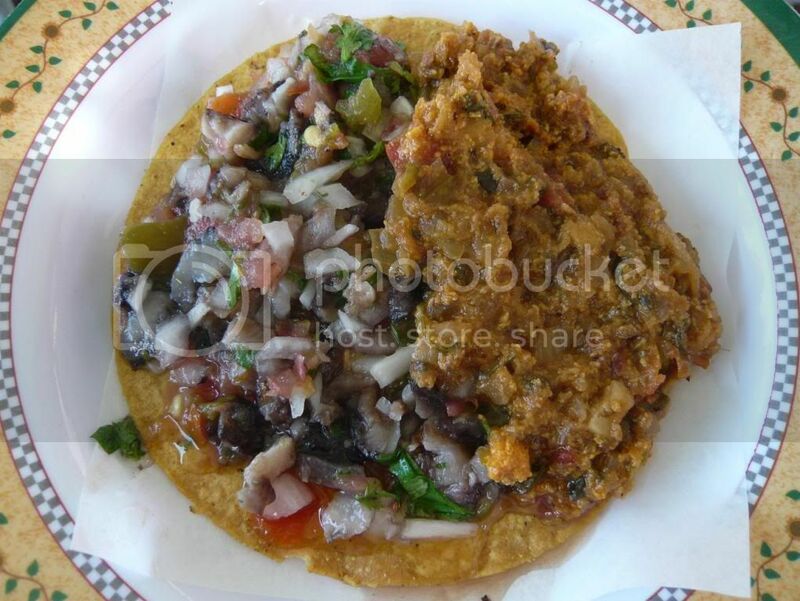 Every now and again I find myself wanting to drive down to Tijuana. 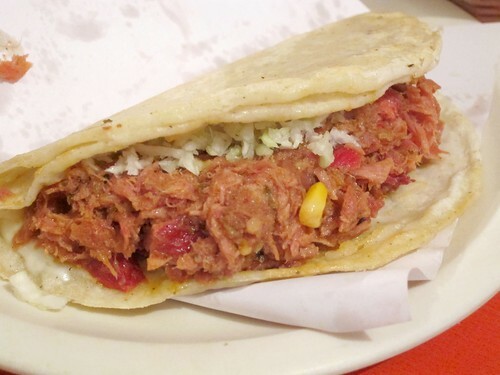 The main reason would be this place and their marlin taquitos. I regret everyday not making a pit stop on my way home that time. If you're ever in Tijuana, make sure you stop by and check this place out. No, wait, scratch that. If you're not in Tijuana, get in your car and drive to this street corner. 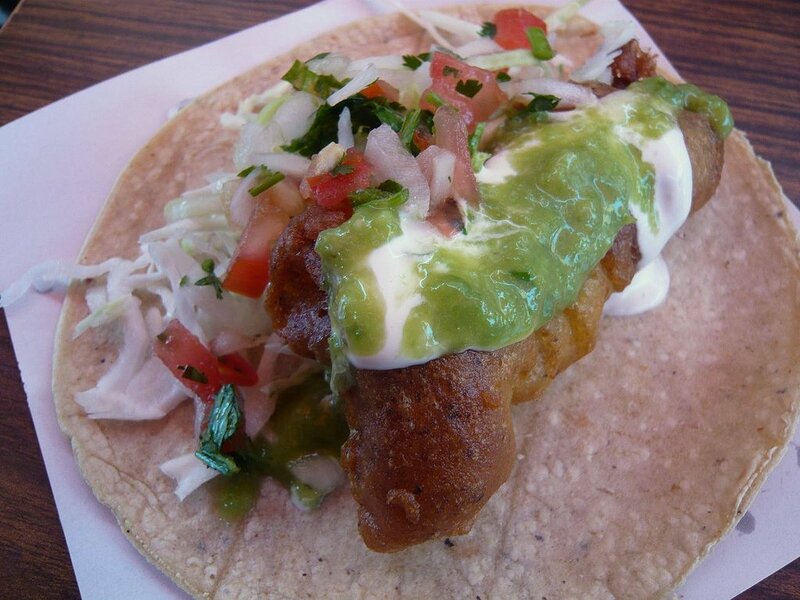 The Zona Gastronomica in Tijuana, Mexico isn't all about Mexican or Baja-Med food. 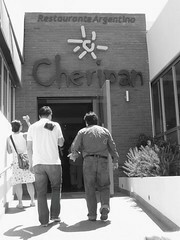 Located in the heart of this district is Cheripan, a wonderful Argentinean restaurant offering a great selection of steaks and other Argentinean cuisine, a nice list of cocktails, and a large wine selection. 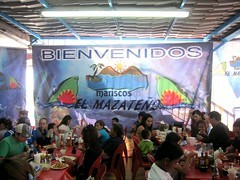 Naturally, it was one of our 8-restaurant-stop first day of Baja extravaganza sponsored by Cotuco. 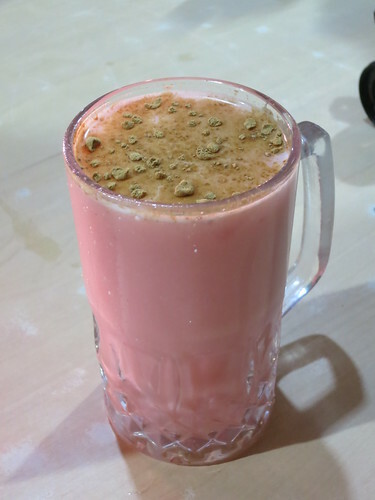 Cheripan has a whole list of fresh fruit martinis, from the fruits you typically find in the US like strawberry to the more interesting ones like tamarind and nanchy. On my first visit I opted for the tamarind martini, shaken and poured tableside. Sweet, smooth, and strong, it definitely goes down easy. We all liked having the shaker left next to our glass - you know, refills. You definitely get a lot for your money. 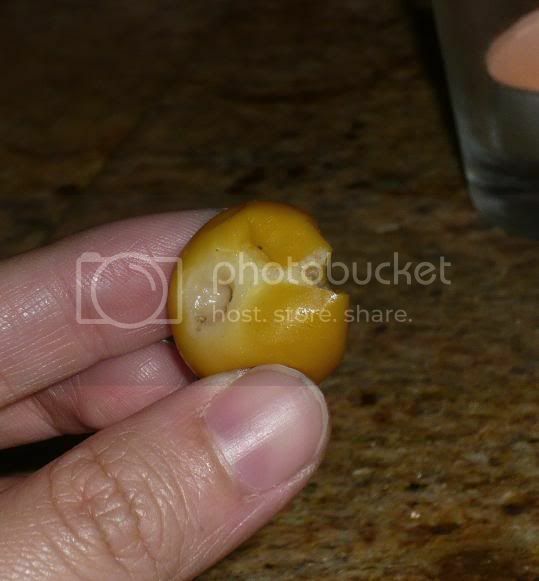 The second time I tried the nanchy martini. Nanchy is the fruit you see here, and tasted like something fermented. Now, back to my first visit, and our meal there. When they give you fresh flaky puff pastries with two different fillings, that just means everyone will end up eating two of them. 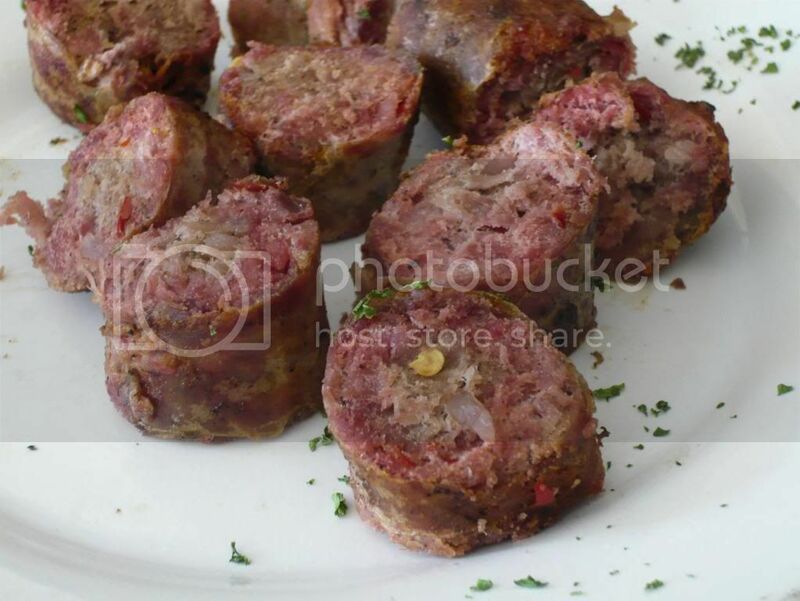 Chorizo sausages were nicely spiced. 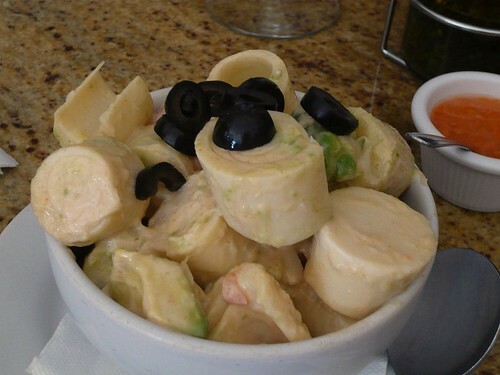 I really enjoyed the Ensalada de palmitos (hearts of palm salad), which were fresh and crisp. Fried sweetbreads were nice, although they could be crispier for my taste. Although skirt steak is typically known to be a touch cut of meat, the skirt steak at Cheripan was not only very flavorful, but very tender as well. A winner. 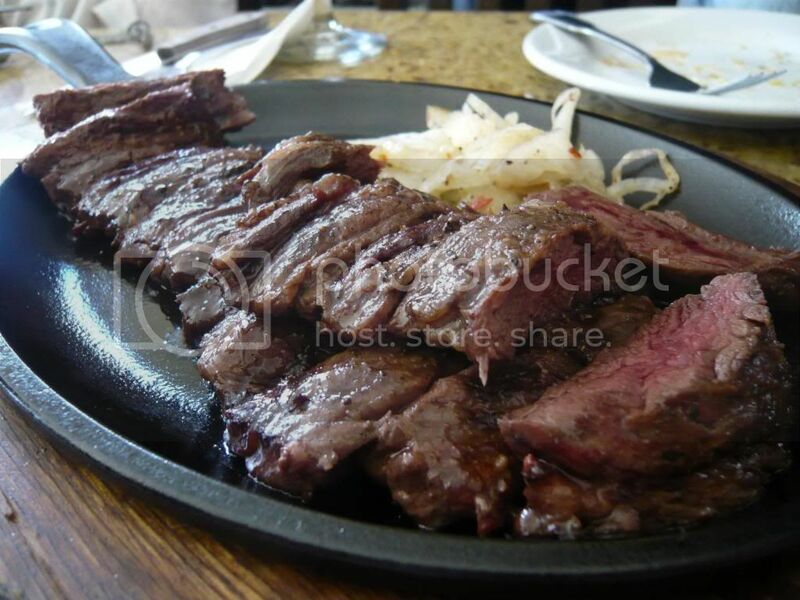 You'd be hard pressed to find skirt steak this good in LA. 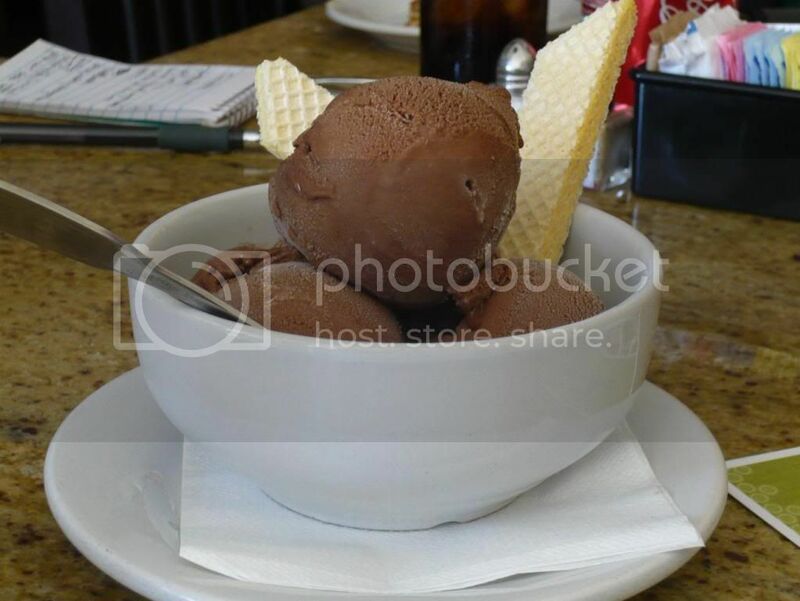 For dessert, some chocolate gelato from the gelato shop owned by the same chef/owner.